I’m running out of superlatives. 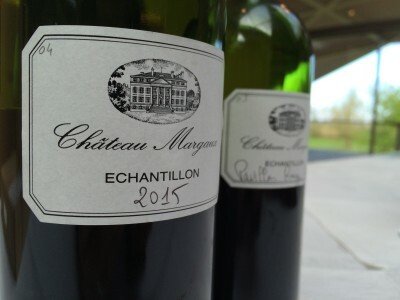 Château Margaux 2016 is a wine to match the perfect 2015. It does justice to the legacy of the great Paul Pontallier. The aromatics are spectacular; the power and scale hidden behind the beauty and purity of the fruit. If only I could afford this wine. The real marvel is Pavillon Rouge. Representing only a quarter of the harvest, this looks to me to be amongst the best produced. Made from plots that formerly went into the grand vin, this is glossy, voluptuous Margaux that exhibits the most caressing and silky fruit. Great stuff. 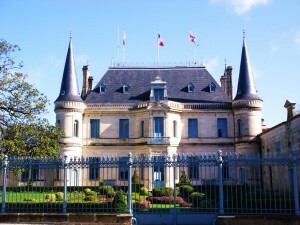 Château Margaux has produced one of the wines of the vintage in 2015, probably the wine of the vintage. It is seductive and beautifully balanced, displaying power and harmony. The tannins are silky and the wine has exceptional length. It is easily on par qualitatively with the 2009 and 2010 here. Only 35% of the crop has gone into the grand vin, and only 23% into what is probably the best ever Pavillon Rouge. This is remarkably strict selection in a vintage as special as this one in Margaux. The property has also produced an exceptional Pavillon Blanc, again undoubtedly among its finest. All the wines are a fitting tribute to the late, great Paul Pontallier. At Château Margaux Paul Pontallier describes 2014 as very good for their reds, and a great year for the white Pavillon Blanc. Overall 2014 is certainly a classic vintage in the sense of elegance and proportion found in the wines and the attractive freshness that they display. It will probably vie with 2012 as the best vintage here since the heady days of 2009 and 2010. Time will tell. 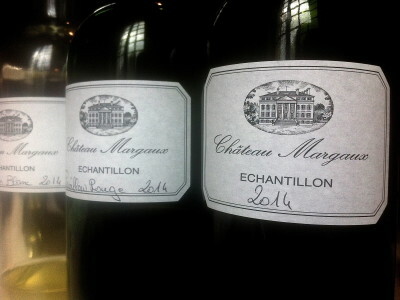 Pavillon Rouge is a structured, classic and fresh Margaux while Pavillon Blanc is indeed a beauty. It completes a thrilling set of highly successful back-to-back vintages for this label. Is it the best Pavillon Blanc ever? It’s probably the best I’ve tasted. 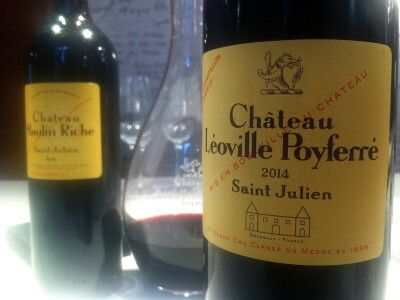 Now the dust has settled on primeurs week my verdict would be that 2014 Bordeaux is a good to very good vintage for red wines, a vintage which favours the Left Bank especially, but there are also many successes on the Right Bank too. Without doubt it is the best and most consistent vintage since 2010, though it is not up to the quality of that vintage nor its predecessor 2009, with a couple of possible exceptions. 2014 is another excellent vintage for the dry white wines of Bordeaux and there are a number of stylish sweet wines from Sauternes and Barsac. Given the overall quality of the reds, 2014 is definitely a vintage worthy of purchasing en primeur, assuming the price is right. Early indications are that prices will remain stable or increase a little from 2013 for the top estates [an altogether inferior vintage for the reds]. Still given exchange rates, this will still be a reduction of between 10-20% if you are a GBP or USD customer – so if that’s your currency 2014 is potentially interesting. 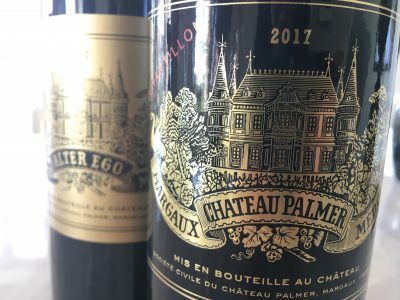 The litmus test usually is that chateaux must release cheaper than any physically available vintage otherwise an en primeur purchase makes no financial sense. So, even if by default, 2014 may be the first vintage since 2008 to offer decent prospects for the consumer. Fingers crossed! Tuesday’s 2014 primeurs tastings started at Château Palmer [pictured – but not in that weather – grey and drizzly] and continued with the UGC Margaux event at Château Dauzac. The wines generally showed a lot of very vivacious and attractive fruit with vibrant acidity and there was more homogeneity than usual. Palmer and Alter Ego looked good with plenty of texture and fruit. Château Margaux tasted later felt classical and proportional. Pavillon Blanc looks excellent [many of the 2014 whites are very good indeed]. 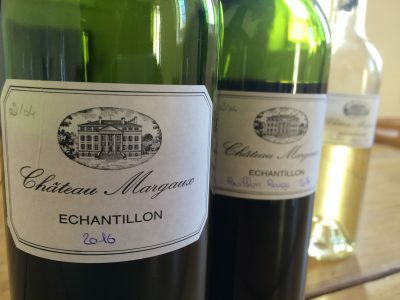 Overall in Margaux there is much to compare with 2008 in terms of freshness and 2012 in terms of fruit, though more so, and at the top level 2014 appears to be better than both vintages. Tastings at the UGC event at Château Lamarque – where a large St Bernard was woofing at visitors from the ramparts of the château – were rewarding. There is a lot of fresh, juicy fruit and ripe tannin on display amongst the Haut-Médocs, and these should [hopefully] offer good value.